Too much pop, soda, sugar-sweet beverage … whatever you call it … might not be the best thing for you in the long run. 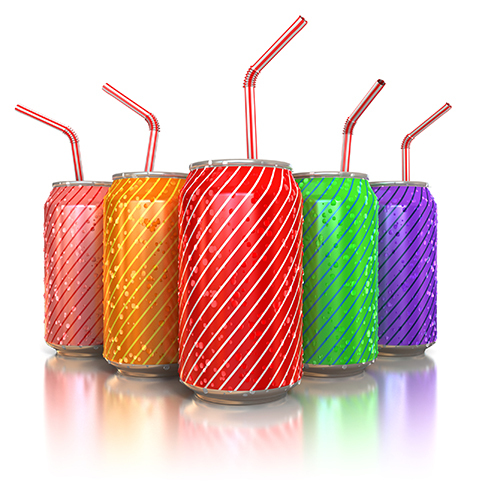 A large long-term study of U.S. men and women shows the more sugar-sweetened beverages (SSBs) people consumed, the greater their risk of premature death—particularly death from cardiovascular disease, and to a lesser extent from cancer. The risk of early death linked with drinking SSBs was more pronounced among women. The study, led by Harvard T.H. Chan School of Public Health and published in the journal Circulation, also found that drinking one artificially sweetened beverage (ASB) per day instead of a sugary one lowered the risk of premature death. But drinking four or more ASBs per day was associated with increased risk of mortality in women. “These findings are consistent with the known adverse effects of high sugar intake on metabolic risk factors and the strong evidence that drinking sugar-sweetened beverages increases the risk of type 2 diabetes, itself a major risk factor for premature death.” said Walter Willett, professor of epidemiology and nutrition. More Whole Grains Linked with Lower Mortality Risk Tomatoes, Other Foods Containing Lycopene, May Protect Against Prostate Cancer March is Colorectal Cancer Month…Prevention Tips To Combat High Blood Pressure, There’s Nothing Like Potassium Is Being Gluten-Free for Everyone?